Right around this time of year, various articles and images begin circulating, giving explanations as to why the Orthodox Pascha (Easter) celebration is usually a week or more after the Western Easter. Most will mention something about the Julian calendar and how its spring equinox is different from the one on the Gregorian calendar. The traditional formula for the date of Pascha (the Paschalion) is this: It is to be celebrated on the first Sunday after the first full moon after the spring equinox. Urban Legend #1: The Orthodox Paschal celebration must come after the Jewish Passover, and that’s why Western Easter is different from Orthodox Pascha. I just read an article today that made that claim. This gets repeated quite often. But it’s an urban legend, folks. Mind you, it’s a very old urban legend, at least since the 12th century, when canonist John Zonaras noticed that, by his time, Pascha always seemed to follow the first day of Passover. But after the formula was decided at Nicea, Pascha actually often coincided with Passover. He didn’t seem to know that, though. The decision of the Nicene council concerning Pascha was that it should be computed independently of any Rabbinic computations: hence, a Paschalion that is consistent with Nicene principles cannot have any built-in dependence on the Jewish calendar. Nevertheless, since at least the 12th century it has been widely believed that Christian Pascha is required always to follow, and never coincide with, the first day of Passover, which was by then being celebrated on Nisan 15 in the Jewish calendar (that is, on the evening of the 14th day of the lunar month). By the 12th century the errors in the Julian calendar’s equinoctial date and age of the moon had accumulated to the degree that Pascha did, in fact, always follow Jewish Nisan 15. This state of affairs continues to the present day, even though the Jewish calendar suffers from a slight solar drift of its own, because the Julian calendar’s errors accumulate more rapidly than the Jewish calendar’s. The 12th century canonist Joannes Zonaras seems to have been the first to state the principle that Pascha must always follow Jewish Nisan 15, so the principle is called the “Zonaras Proviso” after him. Upon examination, it appears that Zonaras derived his new rule from a misconstrual of Apostolic Canon 7, which reads as follows: “If any Bishop, or Presbyter, or Deacon celebrate the holy day of Easter before the vernal equinox with the Jews, let him be deposed.” Zonaras found two prohibitions in this one statement: first, that Pascha must be celebrated after the vernal equinox; and second, that Pascha must never coincide with the Jewish feast of Passover. Although Zonaras’ second prohibition has no foundation in the 4th century historical context, or in the grammatical meaning of the sentence, it resembles the fourth (implicit) Nicene principle closely enough to be confused with it. That is, the rule that Christians are not to go along “with the Jews” in setting the date of Pascha has been confused with the fear that if Passover happens to coincide with an independently determined Pascha, Christians would be wrongfully praying “with the Jews” just because both are praying on the same day. More deeply than this, however, we have to ask this question: Why should the greatest of all Christian feasts depend on a feast day in another religion? And what about the many times in history when different Jews celebrated Passover on dates different from one another? Which Jews’ Passover do we pick? And what if Jews all became Christians? Would we have to calculate a festival for a religion that has no actual followers? The dating of Pascha is of course related to Passover in the sense that the formula puts Pascha around the same time, but since the First Council of Nicea, it is no longer dependent on it. And certainly, there is a whole lot of theological and historical linkage between the two feasts. But that’s not what this post is about. This post is about how the dates are actually calculated. It’s supposed to be on the first Sunday after the first full moon after the spring equinox. But many centuries ago, we devised predictive mathematical cycles that predicted when the equinox and full moon would be. They were very accurate, but over time, those predictions drifted away from what was happening in the sky. We’ve never updated our tables. In the 16th century, the West did. That’s about as short as I can make it and still do some justice to the reality. Urban Legend #2: Even though we have both Old Calendar and New Calendar churches, all Orthodox celebrate Pascha on the same day. Urban Legend #3: Kyriopascha can never happen on the New Calendar. “What is Kyriopascha?” you ask. It’s when the Annunciation (March 25) and Pascha coincide. (Lots more here.) This happens once every several decades on the Julian (“Old”) calendar that most Orthodox in the world follow. (It happened last in 1991. The next time will be 2075.) Those who celebrate on the Revised Julian (“New”) calendar can indeed, never celebrate Kyriopascha, because the combination of the updating of the fixed feasts’ calculation (which includes Annunciation) with the retaining of the Julian Paschalion makes it so that Pascha can never fall as early as March 25. There has as yet been no single year in which Kyriopascha was celebrated on both the Julian and Gregorian Calendars, though 232 would have been such a year had the two methods of calculation been in use at that time. The first year in which there will be a Kyriopascha on both the Gregorian and Julian Calendars is 6700, followed by 6779 and 6863. So it depends on which “New Calendar” you’re referring to. On the Revised Julian calendar, no, there is no Kyriopascha. But on the Gregorian calendar that the Finns and some Estonians (used to) follow, yes, there is. But it’s different from the Julian Kyriopascha. So there you have it. Please don’t spread Orthodox urban legends. Just because they’re Orthodox (i.e., from our Orthodox community) doesn’t mean they’re really Orthodox (i.e., the truth). I am not advocating any changes in Orthodox dogma or practice. I am trying to describe what that practice actually is. I do not think this is a matter of dogma, so it could theoretically be changed by the competent authorities. I have no strong opinion about whether the competent authorities ought to change this. I will happily continue to do whatever my bishop tells me to do. Any change that such competent authorities might choose to make, in my opinion (which matters little), ought to be about faithfulness to Orthodox conciliar tradition, whether or not such changes happen to align with what other Christians happen to be doing. Even if we were to happen to align our Pascha with that of other Christians, I do not think that would really be any major step toward unity with them. We have much bigger fish to fry—dogmatic fish. I have gotten some messages from folks demanding to know why I want to change Orthodoxy, why I hate the teachings of the Church so much, etc. Forgive me, but that is nonsense. I am trying to describe what Orthodox practice actually is, not advocate for any changes to it. People fixate on things that give them a sense of identity. That’s why this is apparently threatening—some folks have been told this their whole lives. How does one counteract an 800+ year old urban legend? I chalk this up to bad catechism. Orthodox Christians should find their identity in Christ and in the saving dogmas proclaimed about Him universally in Orthodox tradition. How we calculate Pascha (which was not set by the Apostles) is not one of those things. In any event, please read closely before jumping to conclusions. Thanks! Why celebrate Christian holidays that aren't in the Bible? #3 is true, though, if you use “New Calendar” to mean “Gregorian calendar with Julian Paschalion,” which is the most common usage. But even then, the Revised Julian calendar isn’t “Gregorian calendar with Julian Paschalion,” because the Revised Julian does not calculate leap years the same way that the Gregorian does. I acknowledged that the RJ does indeed not have Kyriopascha. But there are actually two “New Calendars” in use in Orthodoxy. Somehow, I doubt the Orthodox are going to skip the leap year in 2800 while everyone else takes it; the Milancovic leap year formula seems designed to match Gregorian until long after everyone’s stopped caring. But we’ll see, I suppose. From a very different vantage point than we have now. The Revised Julian calendar actually does have Kyriopascha because it isn’t “Milanković calendar with Julian Paschalion” either. It has its own Paschalion based on astronomical observation that has not been widely adopted. I think this is an important distinction because some individuals assert that the lack of Kyriopascha is a flaw in the Revised Julian calendar itself, when it is actually a byproduct of an incomplete adoption of the Revised Julian calendar which would go away if we could all agree to switch. Is the EP an advocate for a Gregorian Paschalion across the Church? I did not know that. I have not heard that that is the case. If so, then he’s not implementing it widely. Finland has it the way they do because of local law. I don’t know why the parishes in Estonia use the Gregorian Paschalion. I see. Thank you, Father! I have unfortunately spread the first myth but I am thankful for the correction. Thanks for writing this post! So what is keeping more Orthodox from celebrating Pascha with the west? Honestly? Probably mostly because it’s the West. There are also some who likely would point to the Holy Fire in Jerusalem, seeing it as some kind of phenomenon that would only appear on a certain date, not as God’s response to Orthodox worship. That is, God cares about the date, not about the fact that the Orthodox are Orthodox. Just speculation on my part, though. God doesn’t care about the fact that the Orthodox are Orthodox? Not if you think the Holy Fire is dependent on a particular dating calculation. Given that the snakes of Kefallonia can adapt to the New Calendar, I am confident that the miracle of the Holy Fire would by God’s grace occur according to whatever calendar the Church decided upon. Because change is very hard. There are also some Orthodox who believe that the Julian calendar is God-ordained via the Holy Fathers, including the astronomical inaccuracies. Even if all the synods of the Church could get on board with an update, the likelihood is that we would suffer massive schisms all over the Church in response to such a decision. So one has to ask whether it is worth it to move forward with that. Yes, I wonder about that sometimes. Do the Orthodox who believe that we are using the “correct” equinox ever notice the moon? Also, as we read the records, the first concern was for whether the first crops of spring had come about, not the moon. Besides all this, the ancient “new moon” was what we call the young crescent, at least one day but usually several days after what we today call “new moon.” This would make 14 Nisan 1-3 days after what today it is reckoned to be by the modern religious Jews. What a poor article by Fr. Sergius. Its copious references are no support to his conclusion. In fact, they indicate a very different conclusion. We stand condemned by many of these Fathers: St. Epiphanios, who emphasizes observing the sun and moon to determine the date; St. Ambrose, who explains that the date is determined in reference to the fourteenth moon (the actual fourteenth moon). Of course, the Holy Fathers forbade us to celebrate Pascha “with the Jews,” as many Christians had done for centuries. Nowadays, no Paschal calendar in Christendom calls for a celebration with the Jews. The article is just tilting at windmills. As for your point about when Jews used to celebrate Passover, we are now supposed to interpret the “not with the Jews” to mean that we not only do depend on the Jews, but now we depend on a Passover celebrating that is not even occurring. That makes even less sense to me. It should also be noted that I wrote above about “after Passover,” which is indeed the urban legend, not “after the 14th of Nisan.” The former is an actual feast, while the latter is a date on a calendar. I was pleasantly surprised to see the picture above entitled “An Orthodox Pascha Celebration” heading your article that was down-loaded from Wikimedia Commons. They unfortunately do not identify where the picture was taken and which Church it is from. For the record, it was taken at the Annunciation of the Virgin Mary Greek Orthodox Cathedral in Toronto, Ontario, Canada, which is the Parish I have served for the past 18 years. Thank you for clarifying this important topic on the calculation of the date of Pascha, and I wish you all a Blessed Holy Week and Joyous Pascha! My dear Brother in Christ…..our love and prayers to you and your dear family…..have a Blessed Holy Week and a joyous Paschal! Do we just enjoy being different? It seems that, in Slovakia at least, there are three possible combinations: old calendar; “new” calendar with the “old” Paschalion; and “new” calendar with the “new” Paschalion. I was not aware of the calendar situation in Hummene, Slovakia. Could you please send me the link about the service schedule? The one in your post no longer works. Thanks for sharing, Father. I have widely spread UL #1 as I thought it was a very simple answer with truth to it. As a recent convert, I have to admit that the calendar issues are confusing and a bit frustrating. It would be nice to celebrate on the same day as my family, who already think my wife and I have joined a bizarre cult. It would make more sense if we were clearly more accurate or “right,” but the Gregorian calendar still seems to follow the Nicean formula while also being more astronomically accurate. Fortunately, the God who conquered death, who we celebrate on Pascha, is not bound by time or any calendar! For decades the Church of Finland (and others) has been getting away with the excuse (even mentioned above in regard to one of the others) that they follow the Gregorian Paschalion because of “local law.” Sure…the local law that states that in order to receive financial revenue from/through the State, a church/denomination must do so. How much the love of money gets in the way of things! Most Orthodox churches in the world are getting money from their local governments. And we even have at least one canonized emperor who himself (Justinian) made changes to the liturgical tradition (he wrote “O only-begotten Son and Word of God…” and commanded it to be put into the liturgy). So if one is going to paint with that big brush, the strokes will paint broad, indeed. Anyway, why use the word excuse? Are they doing something wrong? If so, why hasn’t communion with them been broken? Thank you Fr. Damick for a well written and clear explanation. Just as a clarification: the Armenian Orthodox Church celebrates Pascha according to the Gregorian calendar. Since it was under Soviet rule, when the Soviet Union wanted to rid itself of all Tsarist memories by switching to the Gregorian Calendar, the Armenian Orthodox Church also switched. However, the Armenian Jerusalem patriarchate was not able to switch due to the Status Quo that was determined in the mid-1800’s. So the entire church follows the New Calendar, with the exception of those communities under the jurisdiction of the Armenian Jerusalem Patriarchate. Thanks, Father! I’ll make a note of that in the article. This is just another example of an ecumenist revisionist who, in order to achieve a false unity with the heretics of Rome and the West, continues to write lies and reinvent Orthodoxy to suit his evil agenda – nothing more. This has been going on for a while now and will continue. False prophets will fool even the elect St. Matthew taught us and we see Orthodoxy perverted every day by these awful people! I would be happy for a substantial critique on which elements of this post are revisionist lies. As for unity with Rome, etc., I do not think it could be achieved by means of the Paschalion, which is really a relatively minor issue compared with our much more pressing differences, such as the papal dogmas. I honestly do not think that union with Rome is actually possible. Nevertheless, I am eager that Rome should continue her theological movement toward Orthodoxy. I am also grieved at her liturgical movement away from Orthodoxy. Perhaps the former will correct the latter. I personally do not have a strong opinion about whether the Orthodox ought to update our Paschalion, but if we did, it should be about being faithful to the stipulations of Nicea. It would be nice, of course, but it doesn’t matter to me very much whether doing so would also bring our Pascha to land on the same date as it does for the West. So would it wrong to say that the celebrations of Pascha and Passover are closely linked and observed about the same time? Wasn’t Christ in Jerusalem for the Passover? Wasn’t that one of the things the Jewish rulers were worried about and that his presence could cause a disruption with the Romans and the Jewish people at a time the city was full for the Passover? Was the Last Supper a Passover meal? They’re definitely related, including the dating, but what I’m talking about here is the actual method of calculating the date of the feast, which has no direct dependence. With regard to the Oriental Orthodox, the Malankara (Indian) Church is not the only OO jurisdiction to use the Gregorian Paschalion. The Armenian Church also uses the Gregorian Paschalion throughout the world with the sole exception of the Armenian Patriarchate of Jerusalem, which uses the Julian Paschalion. Yes, Fr. Ghevond noted that above, and the post has been corrected. Thank you! It ought to be noted that while the Gregorian system is more astronomically accurate than the Julian system, it, too, is an imprecise predictive one since it calculates the date of the equinox by a formula rather than by actual astronomical observation. Science, having made some progress since then, can now do better. A few years ago when the two cycles coincided there was an unofficial, academic proposal that both Latin and Orthodox churches change the formula (“in a spirit of conciliation”) to one strictly defined as the first Sunday after the first full moon after the real equinox. This as, someone pointed out, maximises light during both day and night. Wouldn’t it be lovely? Why don’t we just go ahead and do this regardless? I ask rhetorically, of course: I know my fellow co-religionists. I don’t know of any cases of this in the late 3rd/early 4th century. Please provide details. In case anyone is interested: In the Gregorian lunar calendar, March 31, 2015 is the 11th day of the lunar month until sunset–waxing gibbous. In the Julian lunar calendar, the same day is the 7th day of the lunar month until sunset–near first quarter phase. So the Gregorian moon will be 14 days old (formally full) on Friday, April 3rd, while the Julian moon will be 14 days old on Monday, April 6th. I didn’t make the claim that the Orthodox use precise astronomical calculations. Indeed, I made reference to the predictive cyclic tables. I never stated that you “claim[ed] that the Orthodox use precise astronomical calculations. ” I stated that you referred in passing to this proposition. You did so in language that made it clear that you do not accept the proposition. Hence I called it “urban legend #4”, thereby agreeing with you that the proposition is false. I have Archbishop Peter’s book and find that he synthesizes the evidence well, though I have some minor disagreements. In the passage you have linked to, nowhere that I can find does Archbishop Peter clearly refer to a case in which a Christian community’s Easter Sunday came before the local Jewish community’s 14 Nisan–or even 15 Nisan. (He refers in one place to Christian and Jewish Paschas coinciding–text at footnote 59.) In the old traditional Jewish-dependent paschalion, deprecated at Nicea, described in the Didascalia Apostolorum, and referred to in the Audian variant of the Apostolic Constitutions that Archbishop Peter quotes, Easter Sunday was fixed to be the Sunday that fell within the local Jews’ week of Unleavened Bread–and so would come after the 14th of Jewish Nisan, never before it, and might coincide with the 15th, but never precede it. In the new, independent paschalions that were approved at Nicea, Christian 14 Nisan might agree with Jewish 14 Nisan if Jewish 14 Nisan fell after the equinox. If Jewish 14 Nisan came before the equinox, the Christian 14 Nisan would be a month later. The Sardica Paschal Table, as restored by scholars, shows this state of affairs: Christians and Jews agreed on when the full moons fell, but sometimes disagreed on which full moon was the Paschal full moon. If Christians had the same Paschal full moon as their Jewish neighbors, then the result would be the same as in the older method: Easter Sunday would never precede 14 or 15 Nisan, though it might coincide with the 15th. If the Christian Paschal full moon came a month later than the Jewish one, then Easter Sunday would of course be later than Jewish 14 or 15 Nisan. For Easter Sunday to fall before Jewish 15 Nisan (if that is what you mean by “Passover” in this context) the Christian and Jewish tables would have to have disagreed by at least a day, the Christian ones being ahead of the Jewish ones. A day’s disagreement is possible and may well have happened often, but Archbishop Peter, in the text you link to, cites no such case of Jewish and Christian disagreement on the age of the moon. The Anatolian homily he quotes (at footnote 67) refers to disagreements about the lunar age among Christians only, not between Christians and Jews. I’ll have to defer to you on this, because I can’t find the source that I recall reading which stated that Pascha and Passover occasionally switched their order after Nicea. In any event, I was referring to after Nicea, not before — my point was that Nicea could not have made up any such rule about Pascha necessarily following Passover. Oops. I got it wrong. The Julian paschal full moon (PFM) this year is on Tuesday, April 7th, not Monday, April 6th. Father, I am Greek Orthodox. Which calender do I follow? Is the Julian calender the same as the revised Julian calender? Also should the Julian Calender be updated? You likely follow the Revised Julian. It is not the same as the Julian. As to whether there ought to be an update, well, that could depend on a lot of factors which are somewhat beyond this post. Okay, as a Roman Catholic (or Western schismatic if you wish) inquirer into Orthodoxy I have a real problem. One of the reasons the latter is so attractive to me is its focus on fundamentals and its unwillingness to change things willy nilly. Maybe a point of agreement between the two could start with the date of the most important day of the church year? If only Francus and the EP would discuss that. But that’s probably wishful thinking In any case this all means I go to an RC Easter vigil this coming Saturday and then Orthodox Palm Sunday the next day, only to do Easter all over again the following week. But maybe that’s not so bad after all. Bradley, in all honesty, I would take father Andrew Stephen Damick ‘s blog with a generous pinch of salt. Do your own research into the writings of the early church fathers and don’t trust too many so called ‘theologians’ of today. Just about anyone can call themselves ‘Orthodox’ nowadays. Though I don’t agree with the implication that anyone has ever called me a theologian. I am most certainly not one and resist any suggestions to the contrary. As for whether I am an Orthodox Christian, well, my bishop says I am, and that’s what matters for me. Thank you very much for your informative reflection on the perspectives of the Paschal feast. I am posting below a statement of the North American Orthodox/Catholic Theological Consultation on the issue of a common Paschal date. Perhaps it will be of interest to your readers. Despite this agreement Catholics and Orthodox in fact celebrate Easter on different days, fracturing the proclamation of this Good News of the Resurrection. The consequences of our division on this issue are significant. Interchurch families find themselves in conflict observing two Lenten cycles and two Paschal dates. The world looks on as Christians speak through their celebration with a divided voice. Many are impeded from hearing the Good News of the Resurrection by the scandal of this division. In 2010, Eastern and Western Church Calendars coincided so that all Christians celebrated the Feast of the Resurrection on the same day. The dates for the Holy Day will coincide again in 2011, but will vary again after that. As we remember the joys of a common date this year, we look forward to the entire Christian world proclaiming the joy of the Resurrection together again next year. We are convinced that the time is at hand for a permanent resolution of this issue. We echo the recent calls of our own Consultation in 1998 and many others to close this wound once and for all: the Inter-Orthodox Theological Consultation (1971), the Pan-Orthodox Conference in Chambesy (1977), the Orthodox Theological Society of America (1992), The Aleppo Consultation (1997), the Lambeth Conference, the Lutheran World Federation, and the Pontifical Council for Promoting Christian Unity (shortly after 1997), the United States Orthodox-Lutheran Dialogue (2000), The Orthodox Church of Finland (2001), the International Seminar at the Ukrainian Catholic University in Lviv (2009), the National Council of Churches in the USA (2010), the Melkite Patriarch Gregorios III (2010), and others. The First Council of Nicaea (325), touchstone of Christian theology through the ages, was gathered largely to resolve two major questions: the Arian controversy and the date of Easter—so consequential were those two issues for the unity and life of the Church. Our Consultation reaffirms the decision of the Council of Nicaea to celebrate the Paschal Feast on the first Sunday following the first full moon after the Spring Equinox. The Council of Nicaea was willing to make use of contemporary science to calculate the date of Easter/Pascha. We believe that this principle still holds valid today. Scientific observations about the cosmos reveal the goodness and wonder of God’s creation, which he embraced in the incarnation of his Son. Moreover, to deny an observable truth about the world is to reject God’s gift to us. As they witness to God’s love for the world, our churches need to use the findings of contemporary science as did the Fathers of Nicaea. The key today to resolving the issue in accordance with the mandate of Nicaea is to determine the Equinox from the meridian of Jerusalem (Longitude 35° 13’47.1) using the most accurate scientific instruments and astronomical data available. This will resolve the conflict in our liturgical observance by aligning existing Church calendars to the Nicene formula– not just the calendar from one set of Churches, but from both Eastern and Western traditions. As disciples of the Risen Lord who all profess adherence to the mandate of the Council of Nicaea, we find a profound need to adhere to Nicaea’s formulae, and to calculate the yearly date accurately. As Churches whose faith is rooted in Scripture and Tradition, let us ensure we stay rooted in The One Who is Truth. This method tresolve the problem according to Nicaea has already been supported at the Aleppo Consultation of 1997 by representatives of the World Council of Churches and of the Middle East Council of Churches (both of which Councils were the sponsors of the Aleppo Consultation). It was also supported by representatives of the Catholic Church, of the Ecumenical Patriarchate, and of many Christian communities. The Aleppo Statement accurately presents historical circumstances relating to such matters as the Council of Nicaea’s treatment of the relationship between the Christian Pascha and the Jewish Passover. The practice of continuing to celebrate Pascha according to the ancient Julian calendar has often been defended, by some Eastern Christians, as resting on a decision associated with that council prohibiting the churches from celebrating the Paschal feast “with the Jews.” As scholars of both our traditions have very clearly demonstrated, this prohibition was directed against making the calculation of the date of Easter depend upon contemporary Jewish reckoning, not against a coincidence of date between the two festivals. In fact, a coincidence of Passover and Easter dates continued to occur from time to time as late as the 8th century. Only later, when the increasing “lag” of the Julian Calendar made any coincidence impossible, did the prohibition come to be misinterpreted as meaning that the Jewish Passover must necessarily precede the Christian Passover each year. The need for such unity is great, for our world has changed drastically since the Aleppo Statement was published in 1997. We have witnessed the growth of secularism and the global effects of tyranny and war. More than ever, there is a need for a unified Christian proclamation and a witness of the core of our common faith: the Resurrection of Our Lord. Time is of the essence. 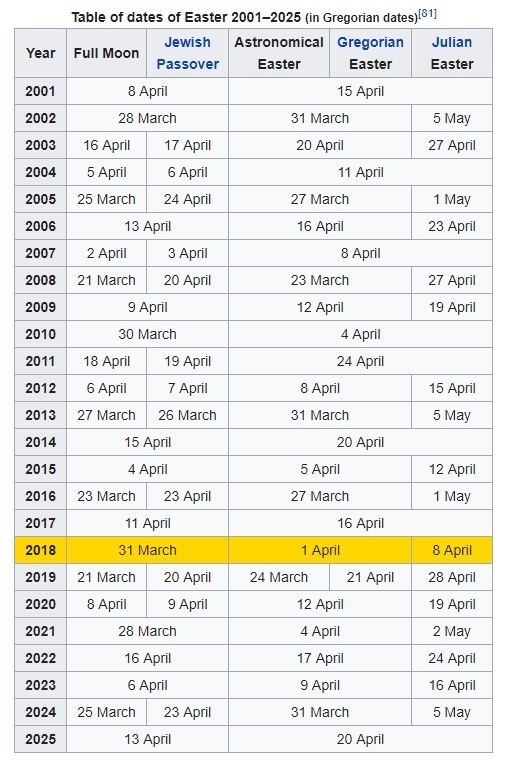 In the short term, the Easter dates will coincide again in 2011, 2014, and 2017. Then seventeen years will pass before a unified Pascha is celebrated in 2034. There is great need for careful education and pastoral sensitivity as we move forward together. We appeal as well to the media of both our churches to take care to report on this issue with accuracy and fairness. We emphasize the hope and joy that a united Easter/Pascha witness will bring the world. There are significant pastoral needs at stake: Can the members of our interchurch families celebrate Easter together? Can we prevent the undesirable possibility of a fixed date recurring every year, which would contravene Nicaea, our biblical theology, and our sacred tradition? For the mission of the Church, a common celebration would support the unity we already share and help to build it further in the future. The main point of celebrating Pascha is for all the Orthodox to celebrate it together. 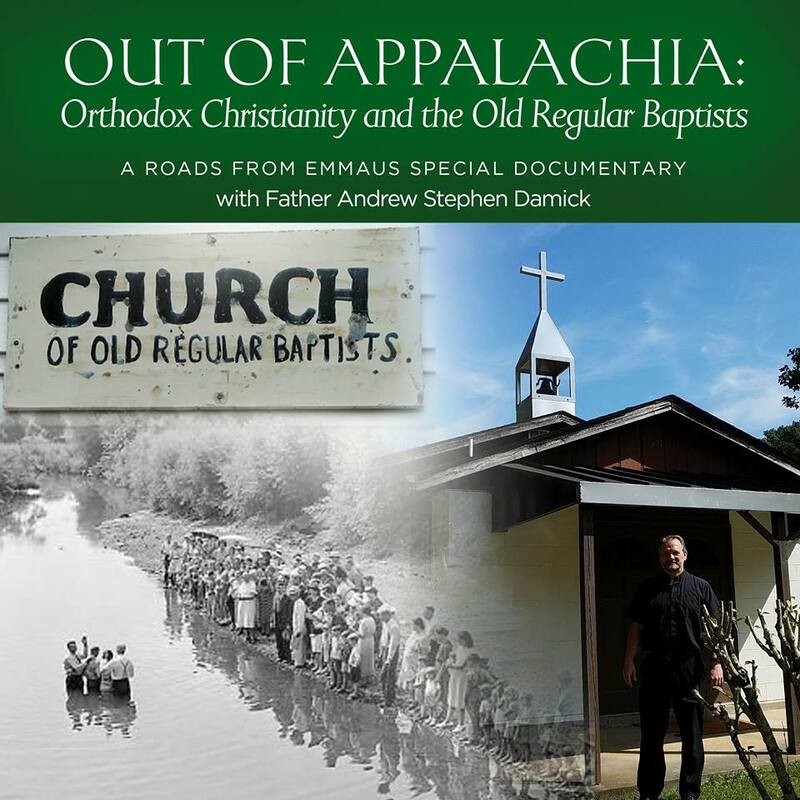 In the past, some local churches celebrated it at different times (Asia Minor and Irish churches), but the Church always elected to change these practices and celebrate it together. All 3 of these passages inform us that Jesus celebrated the Passover with the Disciples. If that is the case and we are commemorating the same event every year how can we celebrate his Resurrection prior to an event Jesus partook of during his earthly life? Thank you for all your writing and wishing you a blessed Pascha. But this post is not so much about whether we ought to have such a rule, but whether we actually do. And we don’t! That said, Jesus no doubt celebrated all the Jewish feasts with perfect piety. Do you think that we should do the same? Actually, they are not the “Jewish feasts”, it is not the “Jewish Passover”. They are YHWH’s appointed feasts, it is YHWH’s Passover (Lev 23:5). So, of course Jesus kept them. He is YHWH. They are His feasts and, yes, as His followers, we should keep His feasts. We should follow Him and do as He did. Why wouldn’t we? I don’t believe we should go by what the rabbis in Judaism say or calculate. But we should go by what God says in His scripture. According to scripture, YHWH’s Passover is on the 14th of Abib. According to scripture, Christ was crucified on the 14th of Abib (He is the Passover Lamb) and Resurrected on the following first day of the week. To calculate the beginning of the first month (the month of Abib), first the barley in the land of Israel needs to be at the ripeness level known as abib. (This means it is ripe enough so that, if you parch it, there will be something there besides an empty hull. This ensures that by the day of First Fruits, it will be ripe enough for a wave offering. Christ was also the First Fruits offering.) Once the barley is abib, then the next sighting of the new moon marks the beginning of the first month (Abib). Then the 14th of that month is YHWH’s Passover. Then the Resurrection will be the first Sunday after YHWH’s Passover, which is First Fruits. So, really, we’re not celebrating Passover, we’re celebrating First Fruits (Christ’s Resurrection) and calling it Passover (Pascha in Greek means Passover). But it should certainly be the first Sunday after YHWH’s Passover, because that’s when it took place. I think the so-called ‘myth’ has been maintained by the Holy Fire on Holy Saturday. What does the Holy Fire say about Passover? This is incredibly helpful. A friend had just shared that article you linked to at the top, and it confused me. And it got me irritated to think that we Orthodox were keeping to a separate date based on some Old Calendar idea of when the vernal equinox is. Now instead, I can be irritated because we came up with something a millennium or so ago that we now know is wrong but don’t want to change it because …. well, just because. My aggravation is so much better-informed now. I belong to the Greek Orthodox Patriarchate of Antioch and all the East headquartered in Damascus, Syria. I live in America and am part of The Self-Ruled Antiochian Orthodox Archdiocese of North America. Which calendar does my Church follow during Great Lent through Pentecost and which calendar do we follow outside of this time? Thank You! You’re using the Revised Julian, which in its current implementation uses the Julian Paschalion but updated calculations for fixed feasts. This issue is a microcosm of many of the situations that require the Church to act be they simple or more complex. We have a duty to guard the Faith from the standpoint that there is no beginning nor end and the Lord our God is unchanging. This lends to timeless principles and cornerstones. On the other hand just because a council initiated a practice that has been followed for millennia doesn’t mean it is essential to the faith. It may have been a practical “fix” they applied at the time to address a challenge manifest in their time. However, there is a general tendency to not change anything. Whether it is out of well-placed caution, fear, lack of leadership, stubbornness, or pride things change at a snail’s pace or not at all. Even when there are well reasoned calls for change as in this calendar issue. If one sets aside emotion / passion it seems fairly clear. And then if we apply “that they be one as the Father and I are one” as the very last thing Christ said to us then it becomes not only obvious but it trumps any argument against it. The issue I wrestle with is the overarching lack of urgency for actions to be taken that can remove as many obstacles as possible for those who are spiritually dying of hunger to find the ancient Faith. People are walking the streets appearing healthy and sane and content all the while in agony over the giant hole in their soul and life. Men and women are filling their lives with whatever they can find to fill the hole and dull the pain. So while serious debate and discussion must take place in order to fix small “t” traditions that are keeping us fractured there is no time to waste on these fairly insignificant matters while our fellow man/woman is dying of spiritual thirst. May we all be move by the Holy Spirit to act in our lives as the hands and feet of our Savior and do so with the appropriate urgency. My apologies if I have offended anyone. 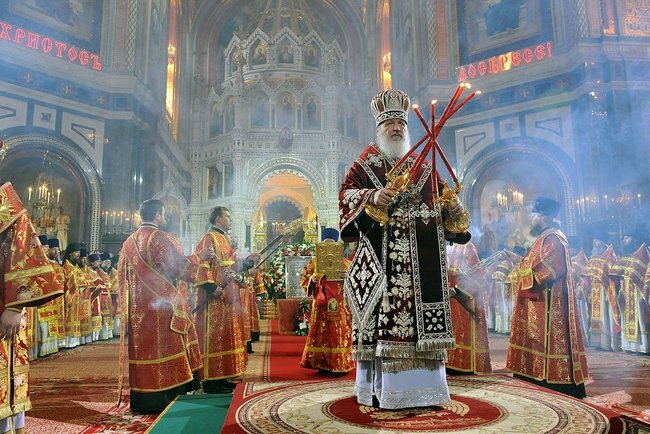 I doubt change will come any time soon as many Russian Orthodox associate the Gregorian calendar with the Communists and the Greeks like getting the discount on Easter candy after Western Easter. However, I feel that it is not important when we celebrate Pascha, but how we celebrate it: with a faith that guides our lives throughout the year, not just one day. After all, we probably celebrate the Nativity on the wrong day. Does anyone really think those shepherds were out in the field in late December? The calculation of Christmas actually is likely based on Annunciation, which itself is dependent on the events of Holy Week (for the details, see the link). So Christmas is actually in a sense dependent on Pascha. I remember in the early 70’s that the Annunciation (Old Calendar) coincided with Good Friday. Do you know if that will occur again … soon? NEVER MIND!! I just looked at a site with Paschal dates through 2050 and see that it will happen in 2034. It coincides twice with Holy Saturday in ’18 and ’29. i believe that the reason that Pascha should follow Passover is that Passover WAS the LORDS LAST SUPPER. When Christmas begins is an entirely different story. As a Russian Orthodox Christian, i’m a traditionalist for January 7th. Passover this year began on Apr. 3/4. So why wasn’t Orthodox Pascha on Apr. 5? Thanks for clarifying the history of the dating of Pascha. If I recall correctly, in 2010 Pascha, Easter, and Passover (Feast of Unleavened Bread?) all did fall on the same weekend. Apparently, it is also the case Patriarch Meletius IV of Constantinople who presided over the Synod that made the change from the Julian to the Revised Julian calendar in 1923 was a Freemason. This adds another layer of complication to this question (as if we needed more!). Is the issue of the calendar one that would be discussed at the upcoming pan-Orthodox Council planned for 2016? I have not heard that the Paschalion is on the 2016 agenda. Yes, I understood you to be clarifying what is, not what should be (i.e., the rule), and that is also a good service to your readers, in my view. It seems to me as regards what the rule should be, the Tradition is more important for determining this than the small-t traditions surrounding the Church calendar (some of which your history here describes, i.e., the various circumstantial exigencies that have existed and informed how the question of the Paschalion has been determined). By that, I mean it is more important to do what makes for the building up of the Body of Christ and what promotes the unity of the Church (by that I mean the Orthodox Church, of course), and serves the purpose of the salvation of both those within and outside her bounds (which can only come about by love) in our present context than what is deemed to be “correct” by some rigid application of a canon which disregards the contextual reason for the canon’s existence in the first place. If Freemasonic teaching is indeed explicitly ecumenical in the bad sense (as some believe it is), I think the concern about an inordinate influence from that teaching on Pat. Meletios and thus on the Synod led by him isn’t necessarily reflecting a kind of “Donatism.” Just my 2 cents. But, you’re right if this concern is merely being fueled by a more mindless or paranoid kind of “guilt by association.” There are plenty of “urban myths” about the history of the Freemasons, too, right alongside the actual content of their current beliefs, which aren’t compatible with Orthodox Christian faith and practice. I hadn’t heard the Paschalion was on the 2016 agenda either, but it seems to be something that needs a pan-Orthodox effort to settle. “calendar” is one of the items on the agenda for 2016. I read your article….With respect to your position as priest I have to say you sound anti – semitic. The way you state that we celebrate according to another religion sounds negating to Judaism. I am a devout and faithful Greek Orthodox person I try to do my best and I fall short in my humanness. I grow up among Jewish folks whom I love. And, Jesus went to Jerusalem to celebrate the Passover. So as Orthodox we celebrate that event so to speak and acknowledge the roots of our Faith. Your use of urban legend is trite. Celebrating Pascha after the start of Passover is Biblically correct and accurate. Anti-Semitism is a racist viewpoint. I fail to find anything in my piece (or anything I have written) that is racist. I of course reject modern Judaism, but it is for the same reason I reject Hinduism, Buddhism, Islam, etc. — it is not the truth. All religions contain elements of truth, of course, and Judaism has more than most. That said, I find Judaism fascinating, much more than any other non-Christian religion. And every Jew I’ve ever met has really been a great person. The issue of this article is really just a question of fact: Do we actually check to see when the Jews are celebrating Passover and adjust accordingly? No, we don’t. We follow cyclic tables of dates. Pascha is on the first Sunday after the ancient calculation for the first day of the Jewish Passover. Pascha uses the ancient calculation for the first day of the Jewish Passover that the Jews used when Messiah Jesus was in the flesh on earth. Modern Jews now use a different calculation for the first day of Passover. Have a blessed Holy Week & Pascha! No, as I said, Pascha is celebrated according to a cycle that predicts when the first full moon after the equinox will be. The feast is on the following Sunday. The tables make no reference to Passover at all. They’re just a list of dates. I have to differ from you somewhat on this. You are right that the tables make no mention of Passover or any other date _on the Rabbinic calendar_. But there is a “passover” in them, and I think it was this, Christian “Passover” that Paul in AZ was asking about. The tables are lists of lunar dates. The shortest, simplest tables are lists of the dates of the full moon, which is the 14th day of a lunar month. This full moon/14th day was chosen by the developers of the paschalion because they believed it was the correct date for Passover, according to the law of Moses and according to how the date had been fixed in Herodian times. They may (or may not) have been right about Herodian practice, but their reading of their sources–the Bible, Josephus, and Philo–was plausible even if mistaken. “The full moon after the equinox” and “the 14th day of the first lunar month” are effectively interchangeable terms in some patristic writings on the calendar. But–as you have pointed out in your post–this 14th of the first lunar month, this “passover”, is a date on our calendar, not a date on someone else’s calendar. The Urban Legend #1 is that, in addition to the rule that Easter Sunday must be after the full moon–that it must be after the Christian Passover–there another rule that it must also be after someone else’s Passover. Is the Paschal full moon called the “nomikon faska” (νομικον φασχα (sp?)) in the Greek tradition? I heard hints that this was so, but have not been able to confirm it from a reliable source. I should be clear that I am not saying that the calculations for Pascha had nothing to do with the Jewish feast of Passover. I am saying that they have nothing to do with it. In other words, we do not consult with Jews to find out when they are going to be celebrating Passover so that we can adjust our celebrations accordingly. Ironically, if we did, then we would have celebrated Pascha on Apr. 5 this year, since Passover began Apr. 3/4. Thank you Father Andrew for all of the research and the work you did updating this blog. Head scratcher. Everything I learned growing up in the Orthodox church is now out the window. Your article leads me to believe that you are a convert or you want the change to happen and well all be Catholic/Protestant. 1. I hope you learned about more growing up than just how we calculate Pascha! 2. I am indeed a convert. 3. I am perfectly happy to celebrate Pascha when my bishop tells me to, even if it remains the same for the rest of my days. 4. Even if the dating of Pascha were to change, it would certainly not make us Catholic or Protestant. Of the many differences we have with the West, this is by no means the most important nor the only one. I do not understand why one would make it sound as though it is a negative thing to have Pascha follow Passover…just because Passover is a Jewish holiday! Christ himself was Jewish and He purposefully went to Jerusalem during the celebration of Passover to fulfill his destiny during a time that there would be many to witness. I think perhaps we all need to look towards divine understanding rather than bickering as children over who is right. I don’t think it’s negative at all. Nothing wrong with the idea in itself. It’s just not what we do. And it doesn’t make sense for the Church to actively depend on another religion. And we don’t. We acknowledge our roots in ancient Judaism. But we don’t ask modem Jews how we should arrange our Church year. In all due respect, this dialogue sounds petulant. When one explains that Easter follows Passover (since that is why Christ was in Jerusalem at that particular time) it does not mean that one is asking”… modern Jews how to arrange our Church calendar”! It merely means to serve as a easily understood answer to a valid question. I believe when Our Father said, “put away childish things” He was probably talking about pettiness as a primary example. It is a shame to see such discord being brought about during the Holiest period of the year. Wishing you and yours, peace and blessings during this Holy Week and Pascha! The answer is indeed easily understood, and the question is valid. But the problem is that the answer is wrong. This year, for instance, Western Easter follows the first day of Passover, yet the Orthodox are still a week later. There is, unfortunately, no easy answer to this question because the truth of the matter is somewhat complex. Yes and this year, Orthodox Easter follows the last day of Passover. Point is…regardless of the complexities, Christ entered Jerusalem for Passover and His entire Passion did in fact occur during that time. Making too much of an issue often turns people away and causes speculation and doubt. Thank you. I hear what you’re saying. This post isn’t about the inner meaning of the feast, though, but about certain technical matters. They’re certainly not as important, to be sure, but not every post can be about everything. That the 3rd/Early 4th century Fathers did not intend the paschalion to be accurate. Weak form: The 3rd/Early 4th century Fathers didn’t care about accuracy. Strong form: The 3rd/Early 4th century Fathers intended the paschalion to drift away from the moon and from the seasons. That the Council of Nicea explicitly gave the Patriarch of Alexandria final authority over the paschalion. The the Council of Nicea explicitly fixed the details of the Julian paschalion in its present form. Anyone who studies this issue will encounter these canards sooner or later. In Anglicanism, we adopted the Gregorian calendar in the 1750s. Two-hundred fifty years later, we are still centuries away from any reunion with the Roman church. The papacy — to mention only one of the outstanding sticking-points — will have to evolve to something quite different from what it now is before we can accept it in good conscience. So our example supports your statement. Oops. Forgot to add: Blessed Pascha/Easter to you and yours. If it’s not necessary for Orthodox Pascha to fall after the Jewish Passover, then what was the Last Supper? It was a Passover meal. If we celebrate Pascha before the Passover, then aren’t we putting the cart before the horse? This is not an “urban legend” so Father, with all due respect, it is not for you to advocate making changes to the Church. On the contrary, it is for you to follow what the Church teaches and pass it down to your flock. If you are going to question these teachings then what is to keep members of your congregation from doing the same? If any changes are to be made, the Church as a mechanism for making them. In John, the Passover lambs are slaughtered while the Lord is being crucified, so the Mystical Supper isn’t a Passover meal. In any event, I’m not advocating any changes to our practice. I’m just describing what our practice is. So why are we often celebrating Pascha one week after Catolics? I always thought that this is because of this “after Passover” rule. “Although Zonaras’ second prohibition has no foundation in the 4th century historical context, or in the grammatical meaning of the sentence, it resembles the fourth (implicit) Nicene principle closely enough to be confused with it.” ?? 4th Canon of First Council in Nicea in 325?? The answer to your first question is what this whole post is about. As for your second, I really don’t know what you’re asking. I didn’t write what you quote, in any event. Oh, sorry for my first question, I put it in unfortunate words. The answer I found now in the main article. Forgive me. The quote I’ve written is also from the main article. You quote it from “Zonaras Proviso” from the OrthodoxWiki. So I should ask, what do you think they mean in the mentioned quote. This is all explained in the article. It’s not referring to the canons of Nicea I but rather to the tradition for dating Pascha that emerged from the council. He supports Fr. Andrew’s point by silence in the form of a refusal to make any reference to any spurious rule of Passover-avoidance.